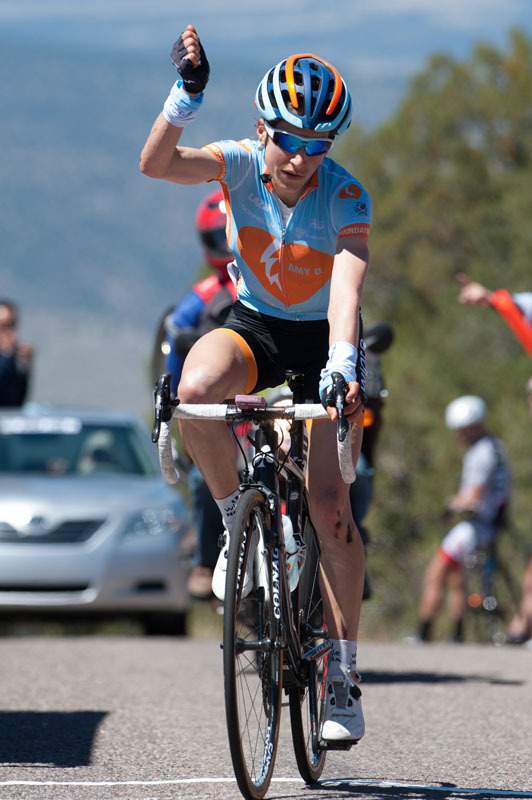 The Tour of the Gila began Wednesday with one of the most competitive women's professional fields ever assembled, befitting its new UCI category sanctioning. Riding for the Amy D. Foundation composite team, climbing specialist Mara Abbott seized the race lead, besting second place finisher Abigail Mickey (UnitedHealthcare Pro Cycling Team) by 48 seconds and third place finisher Jasmin Glaesser (Optum presented by Kelly Benefits Strategies) by 53 seconds. In the men's race, the Orgullo Antioqueño team placed two riders in the top three. Rafael Montiel won the stage, surging ahead of the day's breakaway just as the road turned towards Mogollon, the site of a ghost town and the stage finish. Montiel gained 33 seconds over second place finisher Guillaume Boivin (Optum) and 50 seconds over Montiel's teammate and third place finisher Cristhian Montoya Giraldo (Orgullo Antioqueño). With little wind, sunny skies and temperatures hovering in the mid-60's, racers departed from Gough Park in downtown Silver City for an undulating 71.2 mile (women's) and 92 mile (men's) course. Abbott, known worldwide for her climbing prowess, was the clear favorite as competitors braced for her inevitable attack in the race's closing miles. Like clockwork, she emerged up the final pitch as race announcer Dave Towle, a close friend of Abbott's team's namesake, Amy Dombroski, spoke about the fallen rider, "Amy is looking down on you (Abbott) smiling," Towle said to the crowd. Montiel surprised climbing specialists like Chris Horner (Airgas-Safeway Cycling Team) and Philip Gaimon (Optum) with his win. Boivin was the last member of the breakaway to stay clear of a chasing group, only caught in the final 1500 metres on the climb to the finish. "I felt really motivated to win the stage today," Montiel said. "The finish is at the same altitude where I live in Colombia so I tried to save energy for the big climb." His goal for the remaining stages is simple: "My plan is to keep the jersey and win the race." 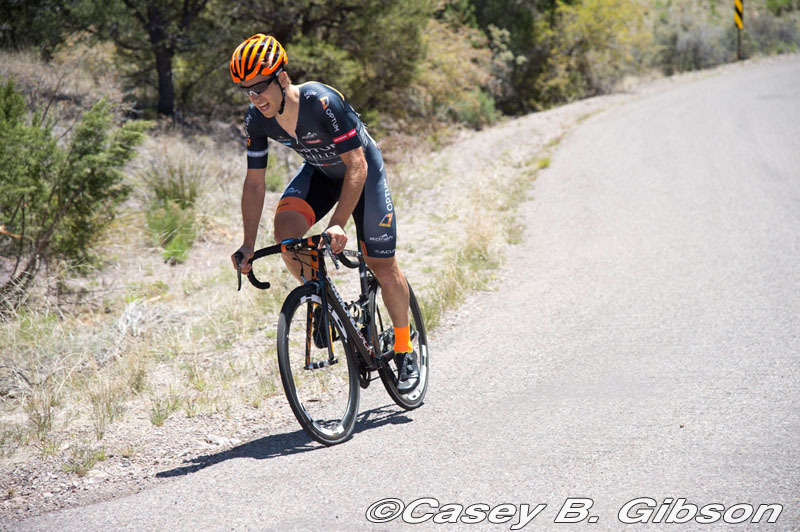 Team SmartStop's Rob Britton climbed into the top ten of the General Classification on stage one of the Tour of the Gila in Silver City, New Mexico. Early into the stage eight riders made their escape from the peloton where they would stay for the remainder of the 150km stage. Team SmartStop missed the breakaway group but stayed calm and safe in the front of the peloton. Travis McCabe, Jure Kocjan and Kris Dahl spent the stage keeping Britton sheltered to conserve his energy for the final climb. "We raced for position into the right hand corner and then the objective was to be at the front for the plateau just in case there was any wind and to stay out of harm's way," said Britton. The final climb to the ghost town of Mogollon was 8km long, featuring pitches of 19%. With McCabe, Chris Butler and Flavio DeLuna helping Britton into the final climb, Evan Huffman and Julian Kyer dropped him off in position for the plateau to start the race to the finish. "We did that well," said Britton, "it put us in perfect position for the final climb, then it was more or less a hard race all the way up." Britton sits 1:12 behind race leader and stage winner Rafael Montiel of Colombia (Orgullo Antioqueno). "We are not in a bad spot, the time gaps are close and I am confident for the time trial," said Britton. 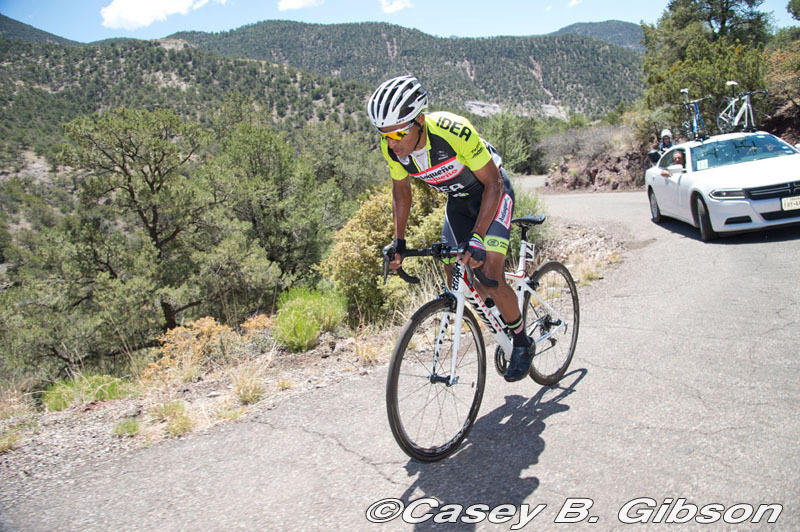 Stage two of the Tour of the Gila is a 122.4km long Inner Loop Road Race starting and finishing at Fort Bayard.